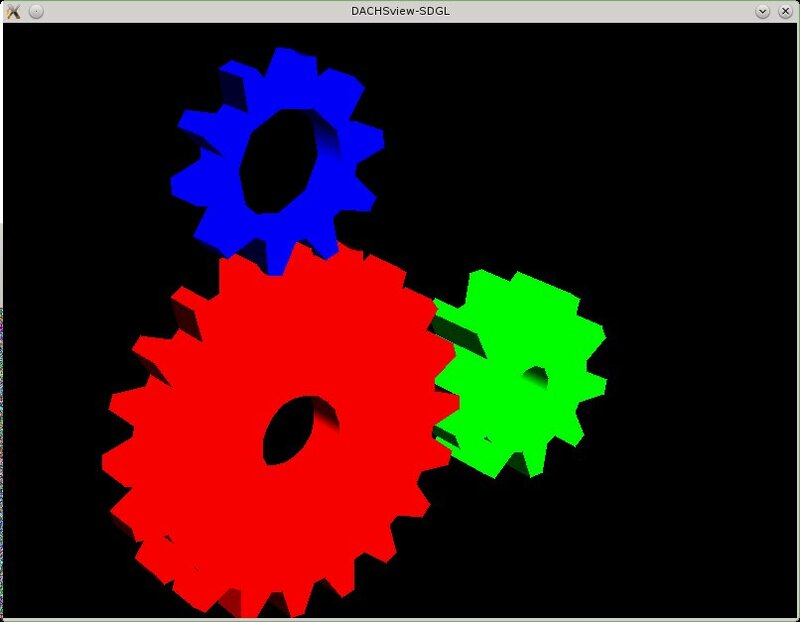 DACHSview++ is a MS Windows based general purpose graphical programming tool which is based on graphical function block display. 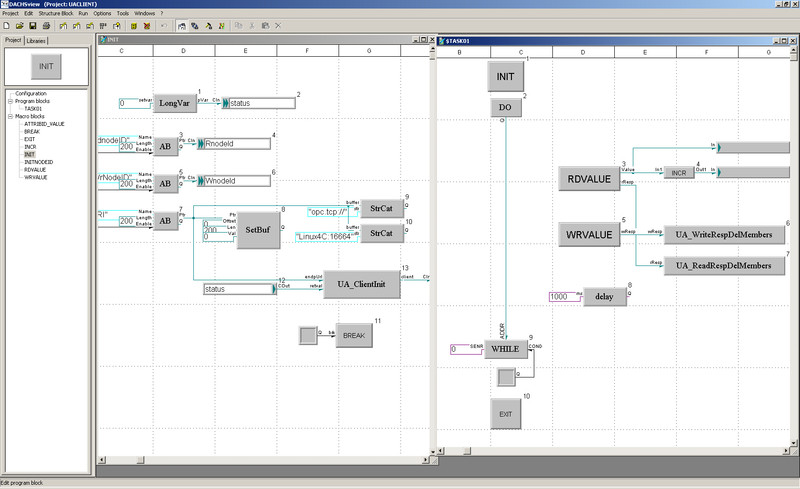 DACHSview++ applications are data flow and function block oriented and are developed within an uniform programming environment. The programming environment consists out of a programming workbench and one or several remote, multi threaded POSIX target systems. 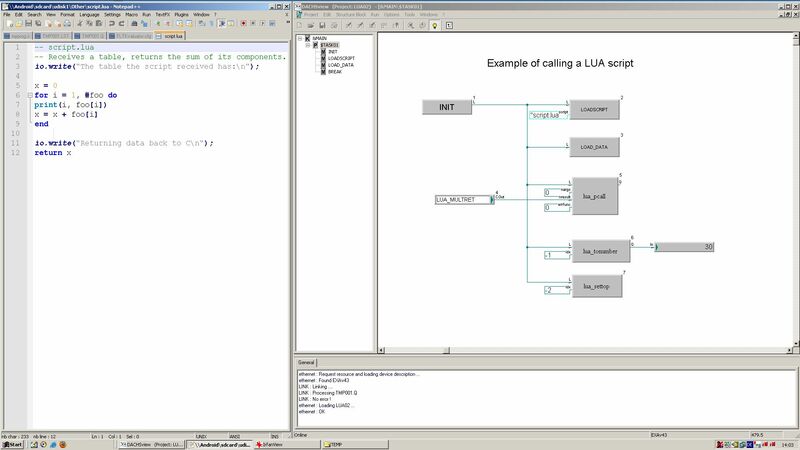 The communication between the workbench and the targets is based on a proprietary UDP protocol. Each target system supports up to 15 POSIX threads and works event oriented. 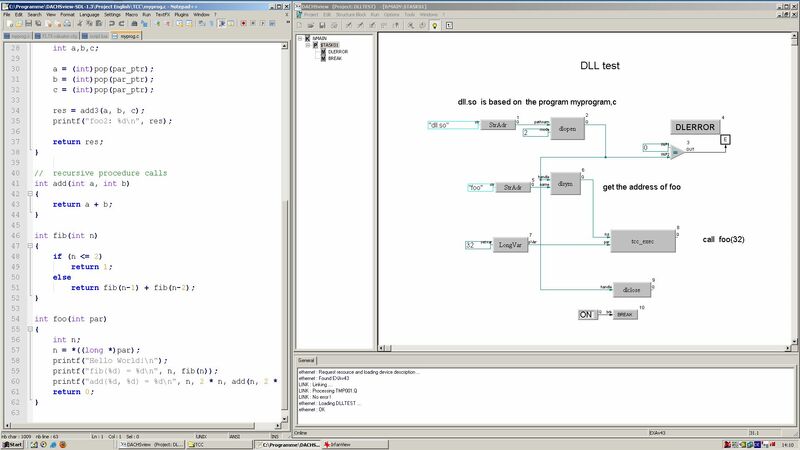 The graphically coded algorithms can be compiled on the fly to a binary list representation, and uploaded to the connected target for execution. This list of binary code and data is processed within the target systems by a small and fast processing loop, which works like a Turing Machine. 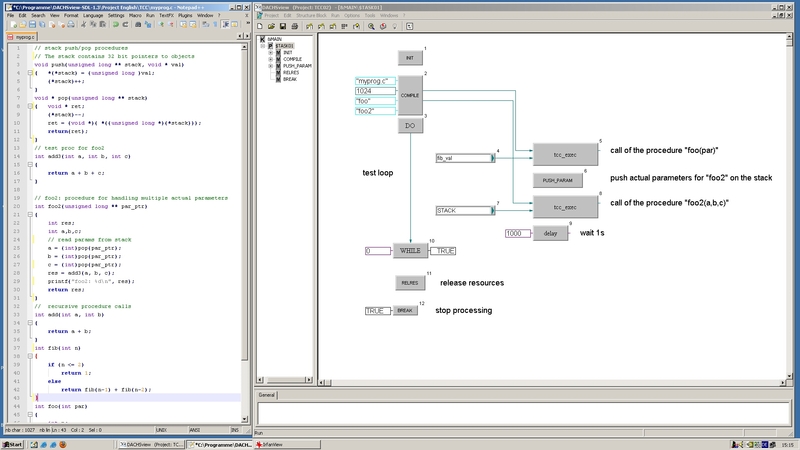 Each target thread runs its own instance of this processing loop and can be assigned to an individual core of a multicore CPU. 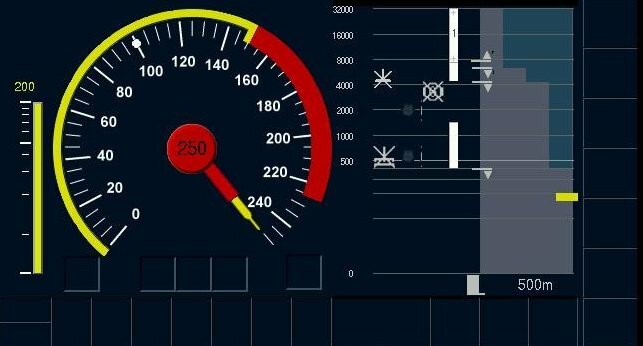 There is no need to integrate application code into the code of the target system in order to recompile it to an application specific target. 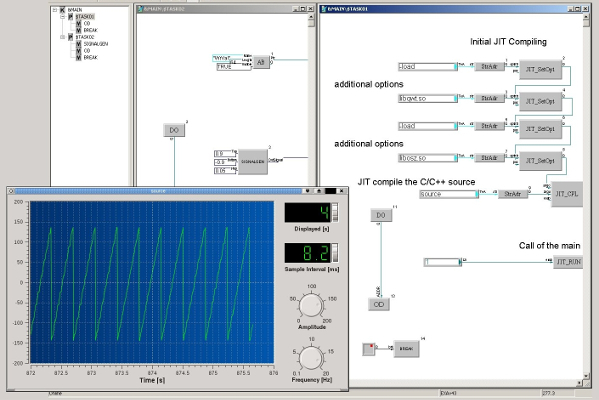 − Standard controls: Qt for GUI buttons, control- and input-elements, etc. mathematical and scientific libraries, etc. User defined function block applications can be reused as libraries. 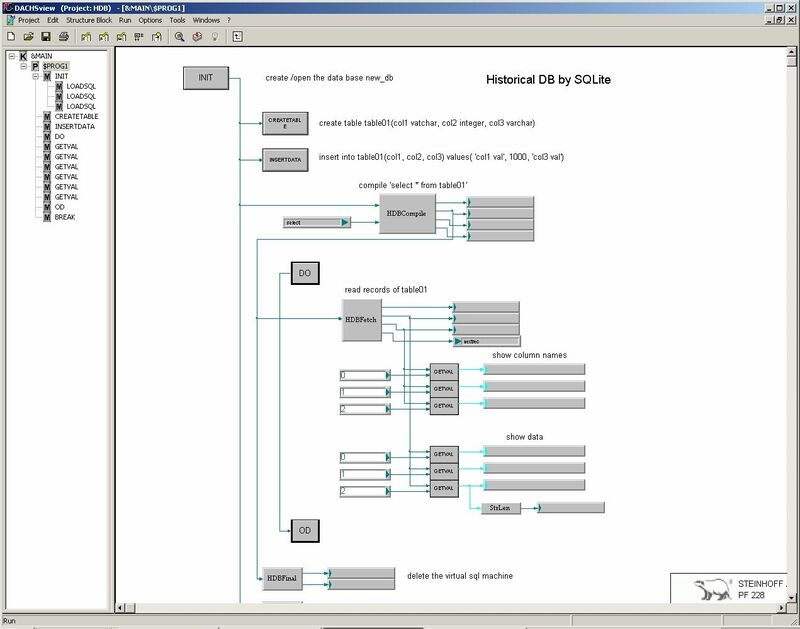 Function block libraries for fieldbuses like EtherCAT, PROFINET, Modbus, PROFIBUS-DP, CAN, CANopen, INTERBUS, etc. are offered as options. Access to operation system calls are provided by OS specific libraries. 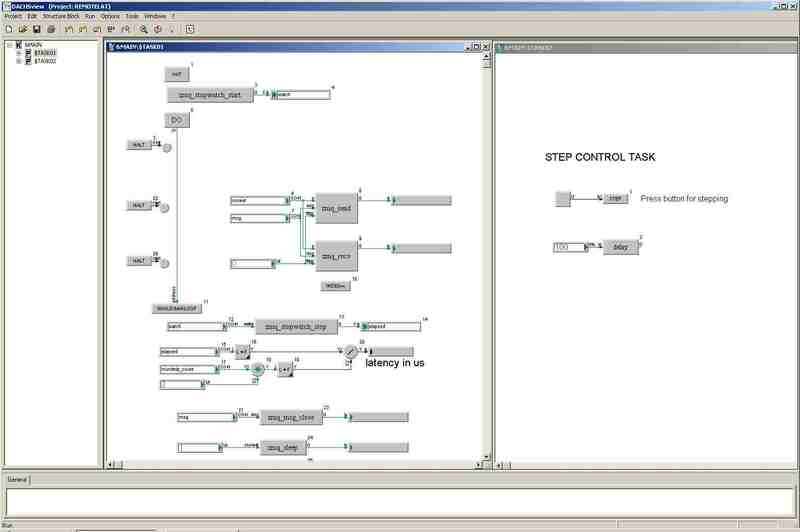 The QNX6.x library offers e.g. 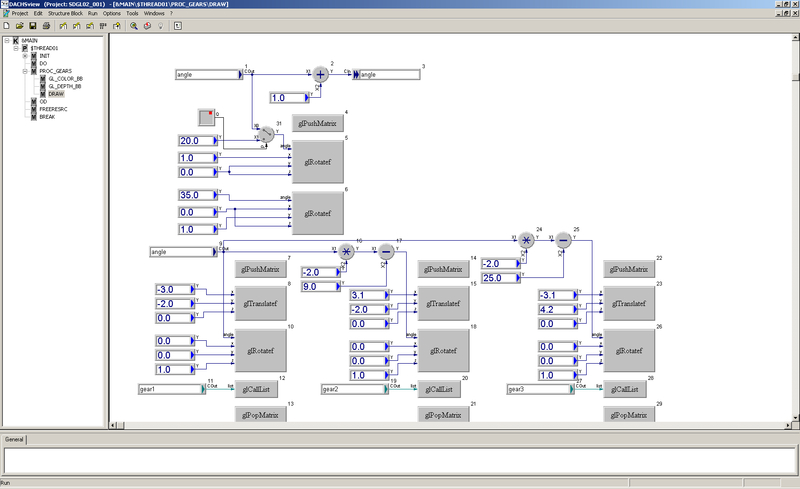 access to physical memory, I/O ports, message passing IPC and interrupt handling.